Upgrades galore in this stunning move in ready 3 bedroom plus Den home. The upgraded stone front elevation and mature landscaping offer great curb appeal. 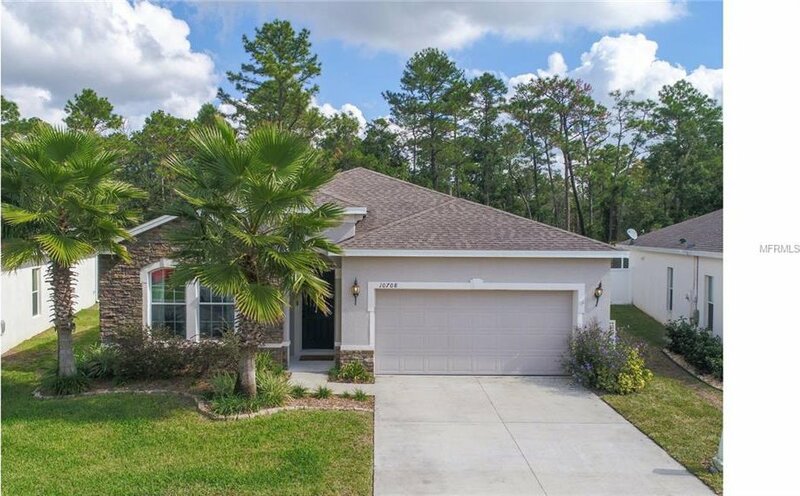 This home’s well-appointed split floorplan features upgraded volume ceilings and tile floors throughout. Gourmet kitchen is a chef’s dream and features granite countertops, dark wood cabinets, elegant tile backsplash, large closet pantry, kitchen island and breakfast bar. Dining and dinette areas are open to the spacious great room and make this home perfect for entertaining. Master Bedroom features a walk in closet and a master en-suite bath featuring his/her vanities with gorgeous quartz counters and a large walk-in shower adorned with marble tile. The French doors lead you into the den that can be used as an additional bedroom. Relax outdoors on the pavered covered patio views to a very private backyard. This sought after community features a community playground and conveniently located to major highways, A Rated Schools, and plenty of shopping and dining options. Listing courtesy of JR KROLL REALTY. Selling Office: KELLER WILLIAMS ADVANTAGE REALTY.